Certified to meet NFPA 1983, this self-rescue device for emergency situations is designed to help you stay safe in the field. Fastens at the waist outside of your turnout pants with a hook and ring closure. 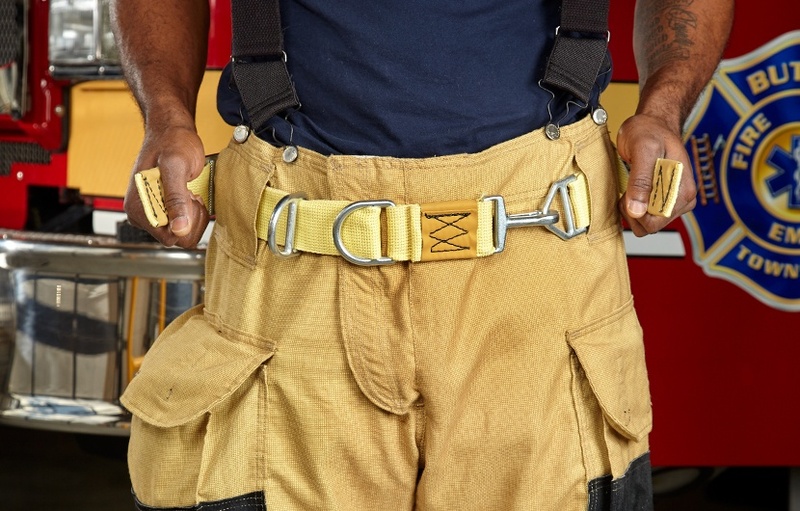 Made from two-inch Kevlar® webbing for strength and durability. Certified for use up to 300 pounds. Features an ergonomic pull-forward motion that allows for easy adjustability and proper positioning on the body. Easily fastens, even with a gloved hand, over the waist of turnout pants. 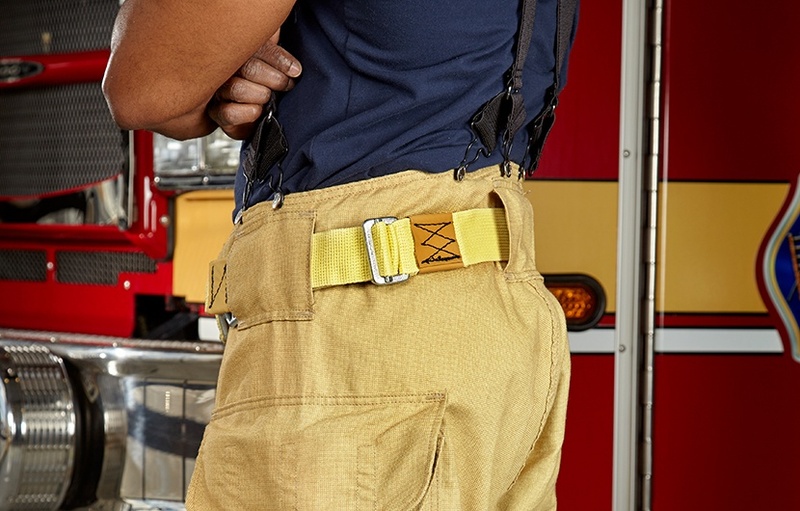 Engages in the proper position when the escape line is attached to the belt.